WaterWipes are the world’s purest baby wipes and safe to use on sensitive skin. They are made in Ireland with just 99.9% purified water and a drop of fruit extract. These pure baby wipes offer all the benefits of cotton wool and cooled boiled water, as recommended by midwives. Suitable from birth, they are kind to baby’s skin and may help avoid nappy rash. They are extra soft, strong and absorbent, with a clean, fresh non-greasy feel. 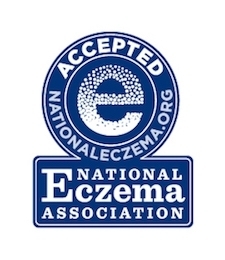 WaterWipes is a proud sponsor of the Ezcema Association Australasia and have been awarded the USA National Eczema Association Seal of Acceptance. I will be using these exclusively with my baby as I don’t like chemicals in other options. I like the idea of these. I haven't seen them in the shops before so this sample was the first I have seen of it. The product is super soft and was gentle on baby's skin. I look forward to using this sample on bub.